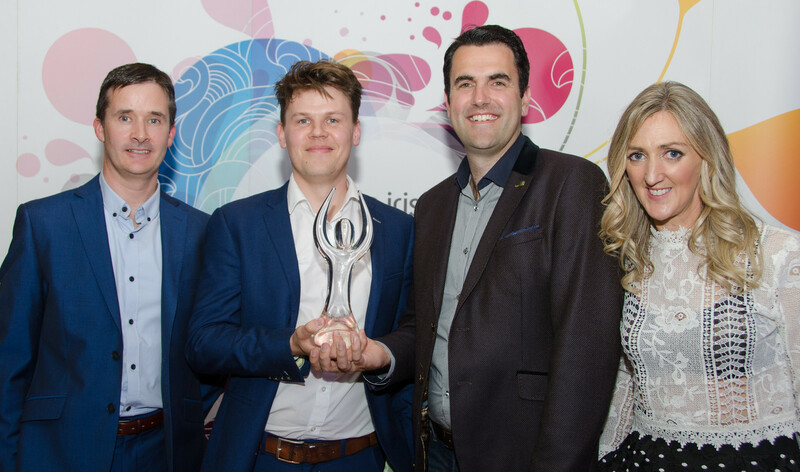 The great and the good of the Irish Internet community gathered last Friday night in the RDS for the annual showpiece of the industry calendar, the Dot IE Net Visionary Awards 2016. Awards were made across 16 individual categories. The Best Internationally Scaling Irish Business Award, kindly sponsored by Equinix, featured six Irish based companies that have enjoyed success in growing beyond their home market. It is always a thrill to win any award but given the strength of the competition on the night, we at Roomex are especially delighted to have been chosen as the overall category winners. This is testament to our overseas growth in the past twelve months, mostly centred on the UK market where we now have some of the leading names in British business, including David Lloyd Leisure, TGI Friday’s and Lush using the Roomex platform to save time and money on their work-related hotel spend. Roomex was represented on the night by Karl Glennon CTO and Stephen Keane, National Sales Manager Ireland, pictured receiving the award from John Shorten of the sponsors and Joan Mulvihill, CEO of the Irish Internet Association. Congratulations to all the other nominees and category winners, together making Ireland a leading web-enabled economy. It was especially great to see both Joan Mulvihill and Des Traynor being recognised for everything that they have done, really well deserved!